My eight year old daughter loves stuffed animals, and like most children has an abundance of them. Each one of them is special to her in some way, and each one loved just as much as the next. How would your child like to create a stuffed animal as unique and special as they are? A stuffed animal that is truly one-of-a-kind, and where anything is possible. 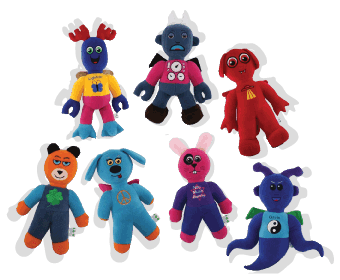 The Happy Toy Machine lets your child create a stuffed animal with endless possibilities!